Today my wife went to put our three year old down for her nap, but she wasn't answering when her name was called. After a quick search we located her in her crib, taking a nap. She put herself down for a nap. She even had a blanket. Can anyone tell me how this happened? And how to make it happen again?? 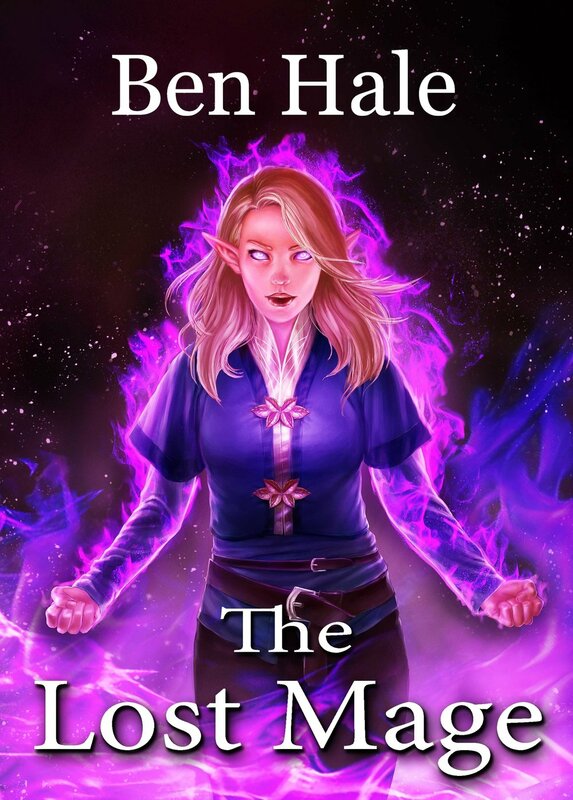 The Lost Mage is Live! The oracles have always been the guardians of peace. Now they are the heralds of war. After a century of planning, their strike is swift and brutal. In a night of upheaval the kings and queens are cast from their thrones, their kingdoms replaced by a Mage Empire. The people are quick to resist but freedom lies in the hands of an outcast. Hunted by soldiers and assassins, Raiden retreats to a final refuge. As he prepares his last stand an unexpected ally arrives at his door. She may be poisoned, but she is far from powerless. Together they will build a rebellion that will defy the Empire. As the world prepares for a mage war, one oracle is noticeably absent, and rumors abound as to her fate. Betrayed by her oracle sisters, trapped in an anti-magic sphere, Alydian rots in solitude. Each day she fights despair and madness, and plots her escape. With her magic bound, even she believes she is helpless. But such power cannot be shackled. When it is unleashed Alydian will break mountains. And the oracles that betrayed her. You can find the Lost Mage here. Happy reading! This BIG boxed set contains ten books across three series, The Master Thief, The Second Draeken War, and the Warsworn. Compiled for the first time into one set, this omnibus edition includes character crossovers and legacies, where one event impacts the fate of a different series. The thief, the warrior, and the hero, all have a hand in the war. The assassination of heroes was once a warning—for an invasion that nearly destroyed the world. On the brink of total victory, the black horde mysteriously vanished, leaving terrified survivors . . . and rumors. As the centuries passed, the holocaust faded into legend, and finally myth. But death is stalking heroes once more, and the ultimate army has already been unleashed. The only hope lies in destroying the source—before all life is extinguished. Fate has chosen Elseerian for the impossible feat, but as he embarks on the harrowing journey the invasion must be delayed. With time as their only weapon against extinction, the elves issue a desperate call . . . for every race to ally. Facing annihilation, many will realize that survival lies in unity, courage sleeps in ordinary citizens, and average people can turn the tide of war. Forged for combat, the rock trolls have no equal. They train from birth, endure brutal conditioning, and mark their skin with every kill. They have become the very flesh of war, but their history of honor has been forgotten. Now a bounty has been issued, one which calls for the extermination of their race. To survive they must awaken to what they have lost, before their enemies begin to gather. Born in the midst of a bloody conflict, Tryton bears a heart of peace. His talent will command respect, but his nature is the true weapon. To wield it he must rise to lead them all—without sacrificing his soul. The fate of his people lies with him, but the seeds of destruction have already been sown. And the harvest has come. The Rogue Mage is Live! With all of magic at her command, Alydian is born to power. She and the other oracles serve the people, guiding kings and commoners with their ability to know the future. Yet despite Alydian’s power she cannot foresee the coming betrayal, for a rogue mage lurks in their midst, and plots an alliance with the mighty guild of Verinai. Under the guise of benevolence the Verinai offer their magic to all, while their expanding reach is noticed by none. Branded a traitor, wanted for murder, the mysterious man is no ordinary bandit. For six years he has hidden behind a mask, hunting Verinai with his band of Defiant. But now his war is about to escalate, for he has targeted Alydian to send a message, that even an oracle can be killed. Beset by foes, Alydian will require more than magic to survive, for if she cannot change her future . . .
She will fall to her fate. I love Writer's Block. I know that's a crazy statement but it's true. Getting stuck in a book is maddening. It is a wall that threatens to trap you for eternity, a problem that borders on obsession. My instinct is to smash against it, bull my way through so I can continue the story. But the wall is there for a reason. The story wants to be better. I experience writer's block every day, and each time it represents an opportunity to be more creative, to push myself, to be better. I find an element of the story that I hate and it nags against my soul, demanding I change it. Sometimes it's as simple as a character's name, other times it's an entire event. Regardless, it's the story hitting back, refusing the mediocrity of my inadequacy. It wants to be whole, and writer's block tells me its not. Writer's block isn't a barricade. It's an invitation. Embrace it, and your story will find its greatness. The first two months of this year have been so busy! My wife had a baby (our sixth) on February 6th, and I've been busy with my Master's classes. Despite the challenges, I've written the entire first draft of my new book in 29 days, that's 2 weeks faster than last year! The series for this year marks a distinct shift in tone, as well as timing. I'm happy to announce that I will be writing and releasing The Age of Oracles this year, and book 1 is now slated for release in the middle of June. I can't wait to release more details and I'll post a title as soon as I work it out. You may have read about the Age of Oracles in my other books, but the story of the betrayer is just beginning. Is anyone else as excited as I am?!?! The God Thief is just 4 days from going live!! It's just four days until The God Thief goes live and I can't wait. This title ends the Master Thief series, and it's such a fitting ending to Jack Myst's story. If you thought the godship was good, just wait until you see what he does in the City of Dawn. I'm also excited to announce that I'm doing a DOUBLE release party with Chanda Hahn on Facebook. We'll be doing games, giveaways, interviews, and a whole bunch of mischief. Stop by and have a great time with us at 7:00 CST. You can also join the raffle for a chance to win a free Kindle Fire!